It's no secret that I'm a bit addicted to my scrapbooking mags and the inspiration they provide each issue. 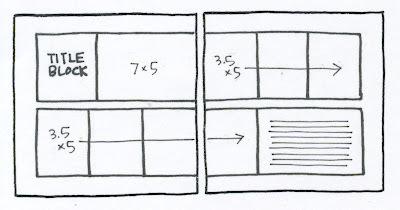 However, many of them have a huge amount of resources available on their website even to those who don't subscribe. Here's just a few great examples. 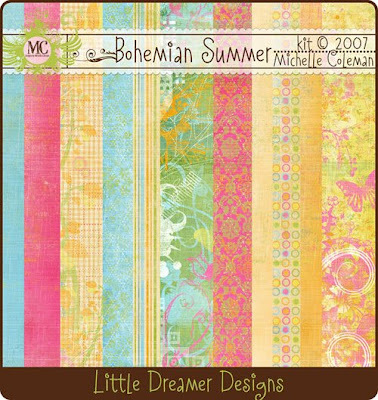 Many of their best editorial content is available to read online and they have a collection of some really great digital freebies including this beautiful Bohemian Summer Kit by Michelle Coleman (shown below) that would be perfect for the spring and Easter pages we're all thinking about right now. Many of the current MM Masters also have their own blog and one of my favorites is Crystal Jeffrey Rieger as she often offers some really great creations of her own for free download as well! 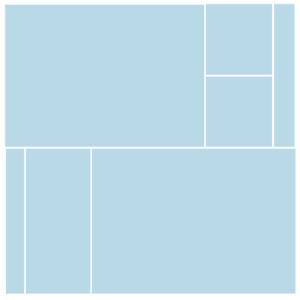 In addition to some featured articles, you can also find some awesome photo collage templates (here and here) like the one shown below that make creating multi-photo layouts a breeze, a wealth of sketches for the scrap happy lifter, and an amazing array of paper piecing patterns for those with piecing patience. I love getting my new issue of CK because I know that with every issue, there are bound to be a few more downloadable goodies on their website. For the recently received May issue, there were a couple digital frames as part of Jessica Sprague's computer tricks column, Becky's sketch downloads, and this fun Color Me Quiz (I'm a mix of green, orange and blue). Subscriber or not...don't miss out on all the great resources available online through the biggest names in scapbooking mags!